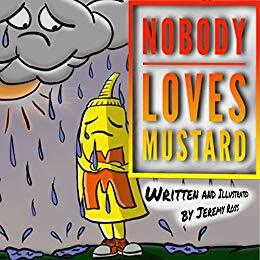 Amazon is offering a free kindle version of Nobody Loves Mustard written and illustrated by Jeremy Ross. Kids of all ages will love the charming story and expressive illustrations by Jeremy Ross; a funny yet touching tale that reminds us of the remarkable feeling of being loved. Perfect for both young readers and adults, Nobody Loves Mustard proves love is always present, even when we think nobody loves us.